There&apos;s a new sheriff in town! 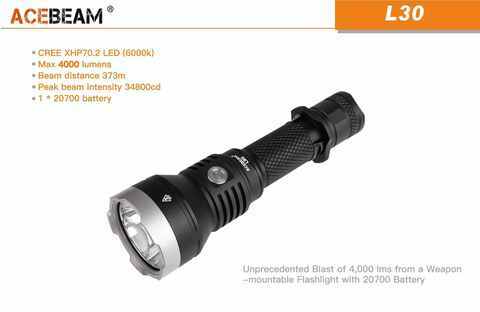 Acebeam&apos;s dazzling new L30 provides an unprecedented blast of 4,000 lumens from a weapons-mountable flashlight! 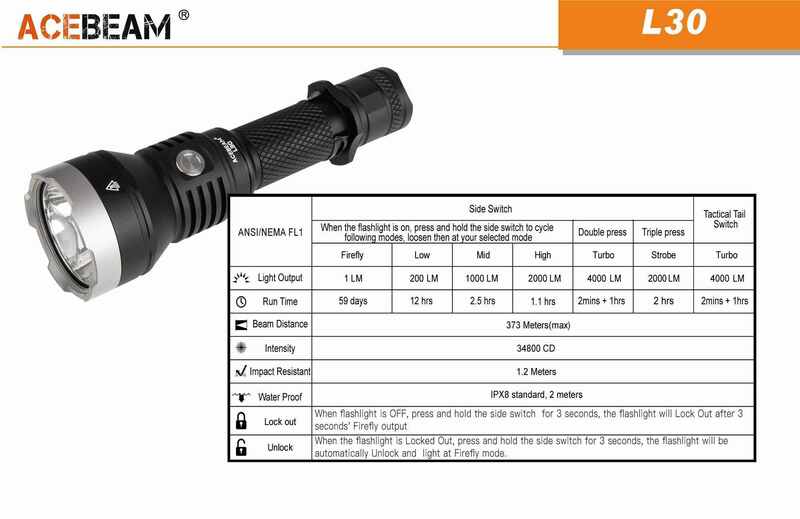 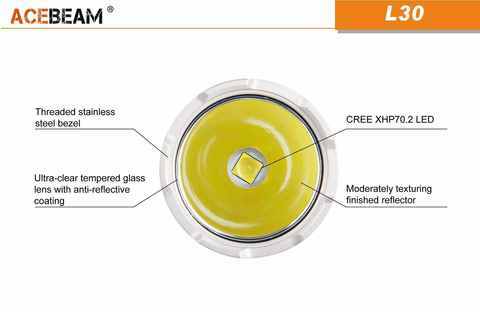 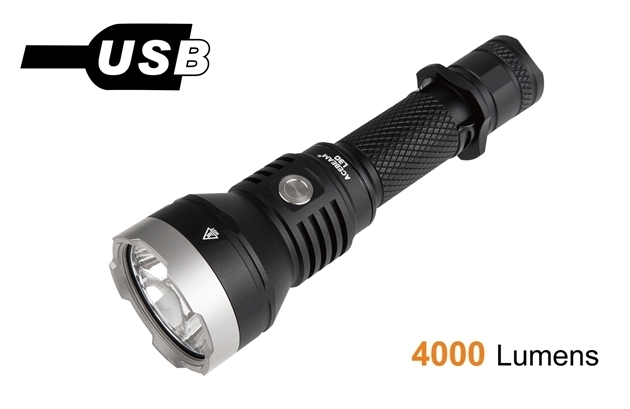 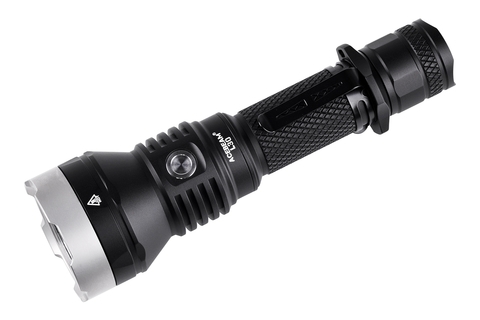 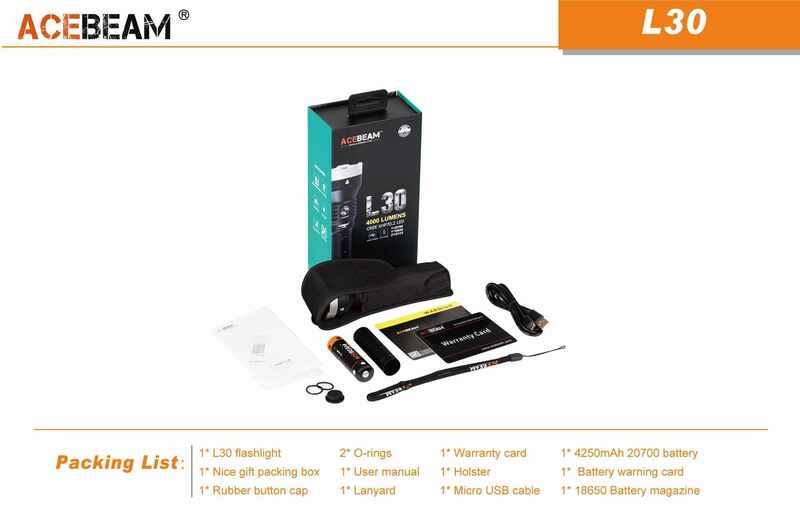 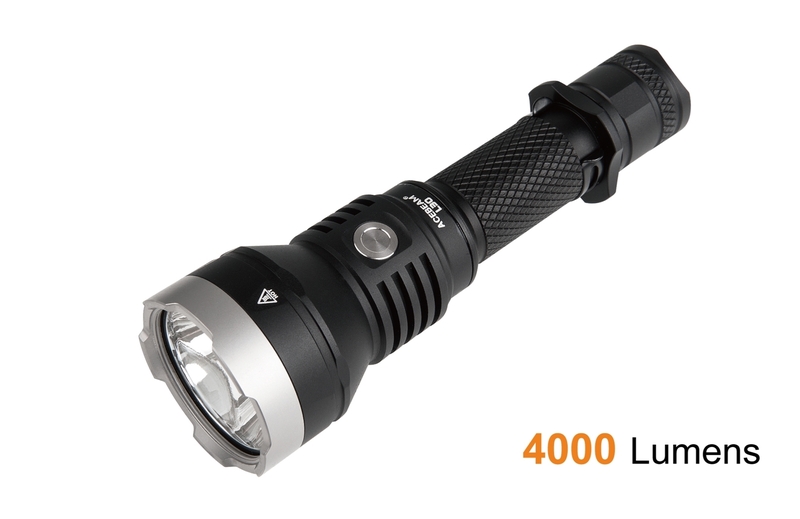 Equipped with the very latest CREE XHP 70.2 chip and Acebeam&apos;s innovative dual-switch user interface, there&apos;s nothing to touch the L30 in terms of form or function. 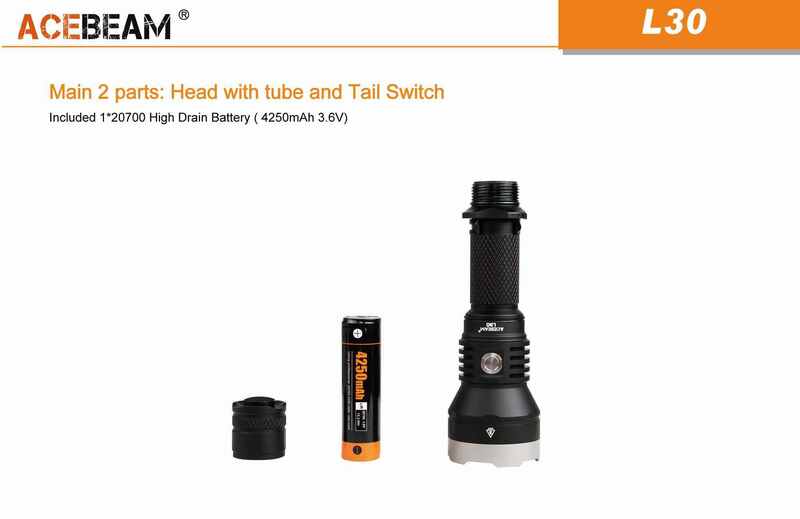 The waterproof 162mm (6.38 inch) body is machined to take 1*18650, 1*20700, and also 2*CR123 rechargeable lithium-ion batteries while the 25.4mm (one inch) diameter battery tube, optional remote pressure switch and range of filters make it an ideal companion for any kind of weapon. 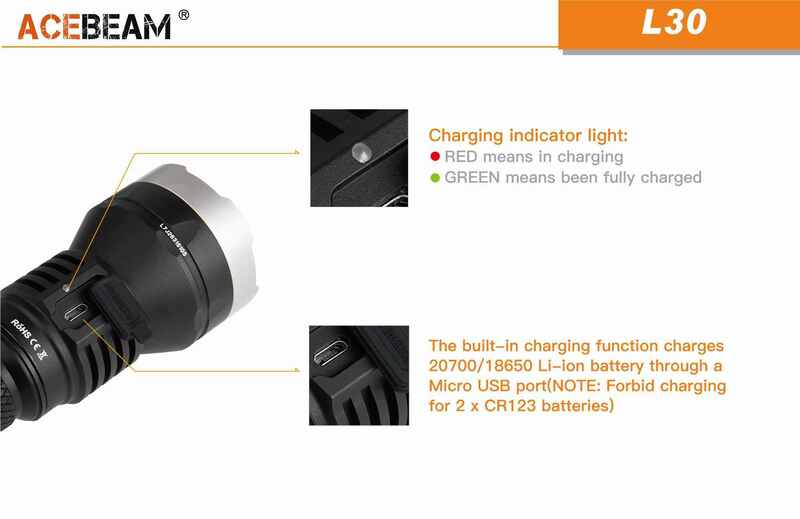 The L30 is like a side-arm that takes shotgun shells - you definitely want it in your hand, not the other guy&apos;s.